Of course, the abuse was her fault and the facility sent her a cease and desist letter not to film and no apology. PHOTO: Hidden camera footage shows Corey Lucas appearing to attempt to suffocate Clarence Hausler with a napkin. 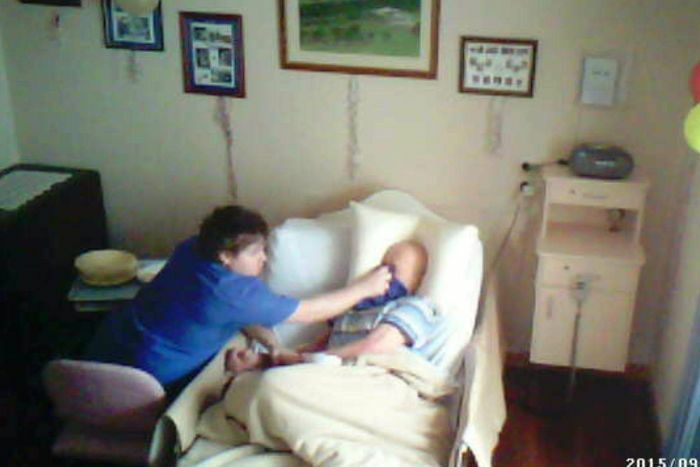 A hidden camera in an Adelaide nursing home has captured footage of a staff member appearing to attempt to suffocate an 89-year-old man, prompting calls to legalise the installation of cameras in the private rooms of aged care facilities.